Home » Posts » Mental health » dementia » Can museums help prevent dementia? Developing novel treatments for dementia rightfully remains an international research priority, but, sadly, hope and hype have typically exceeded trial outcomes. What about a different approach: delaying or even preventing its onset? During the late 1980s the concept of “cognitive reserve” emerged: the ability or resilience of the brain to withstand any damage such as neurodegenerative changes and diseases. Underpinning this, some early studies had shown promise that people with greater levels of cognitive reserve through inherent capabilities, or (crucially) enhanced via engagement with complex cognitive activities, had improved neural connections and cognitive functioning (Wu et al., 2016). In parallel, the absence of stimulating cognitive activities has been proposed to predispose individuals to declines in cognitive functioning (Hultsch et al., 1999). Nonetheless, there is a need to widen research beyond the rather simplistic ‘Sudoku-style’ ‘brain-training’ to identify if cost-effective multi-dimensional brain stimulating activities with a dose of social element, can indeed be considered as protective factors against developing dementia. This is particularly relevant as a broader relationship has been identified between well-being, social engagement and cognitive functioning. Museum attendance can ameliorate quality of life and well-being for people experiencing dementia, as well as positively impacting on their social interactions and elevate their self-appreciation. But what about on the incidence of dementia? It almost feels too good to be true. 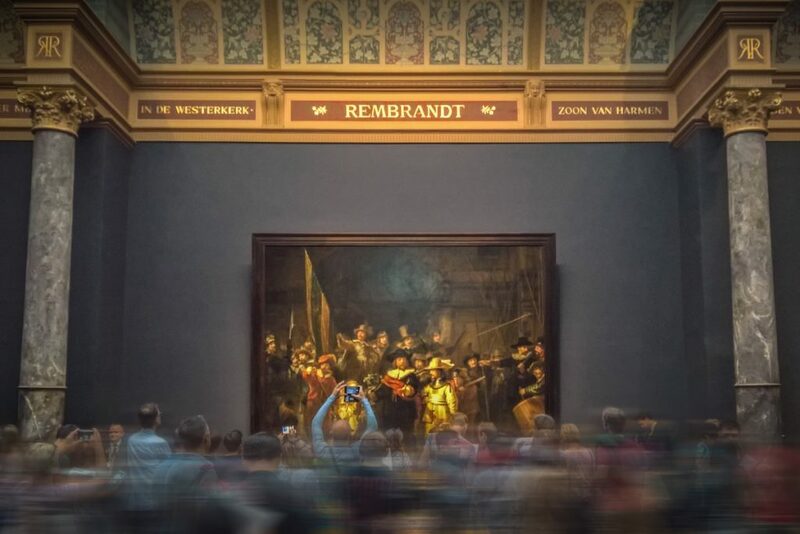 This work by Fancourt et al is the first attempt, as far as we know, to explore this effect through the common, and commonly enjoyed, activity of attending museums. Brain-stimulating activities lead to better cognitive functioning and well-being. 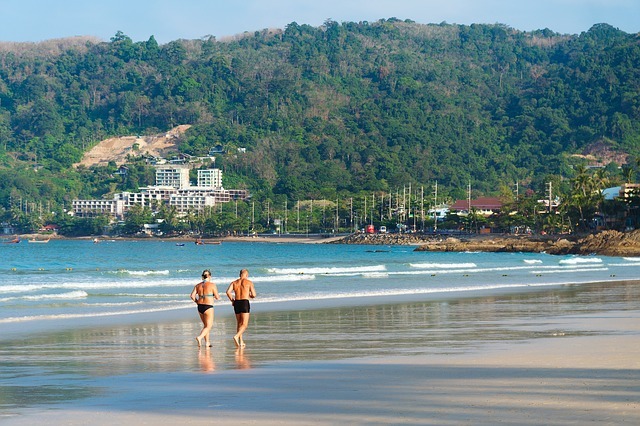 A large cohort of people 50 years-old and older, as part of the English Longitudinal Study of Ageing (ELSA) was used as a sample and tracked across 10 years. The participants in the study did not show any clinical symptoms of dementia at baseline. Firstly, the participants had to complete a self-report scale regarding the frequency they were visiting museums and art galleries, varying from “never” to “twice a month or more”. Secondly, the incidence of dementia was based on a diagnosis of dementia or Alzheimer’s disease or on a score above 3.38 on the Informant Questionnaire on Cognitive Decline in the Elderly (IQCODE). Incidence rates of dementia were calculated per 1,000 person-years in accordance to the frequency of visiting museums. Poisson regression models were performed to estimate incidence rate ratio (IRR) of dementia and 95% Confidence Intervals. Onwards, three types of sensitivity analysis were performed to ensure the validity of the results. Age was treated as an interaction term between the museum visits and the occurrence of dementia and then all participants were divided into two groups accordingly to their age; above or below 65 years-old. Participants who developed dementia in the first two years of the follow-up period were excluded from the final sample, in case they had been experiencing altered patterns of behaviour as a result of pre-clinical symptoms of dementia. The sample consisted of 3,911 adults, equally divided to males and females, and the mean age was 64 years-old. 6.3% developed dementia during the follow-up period. 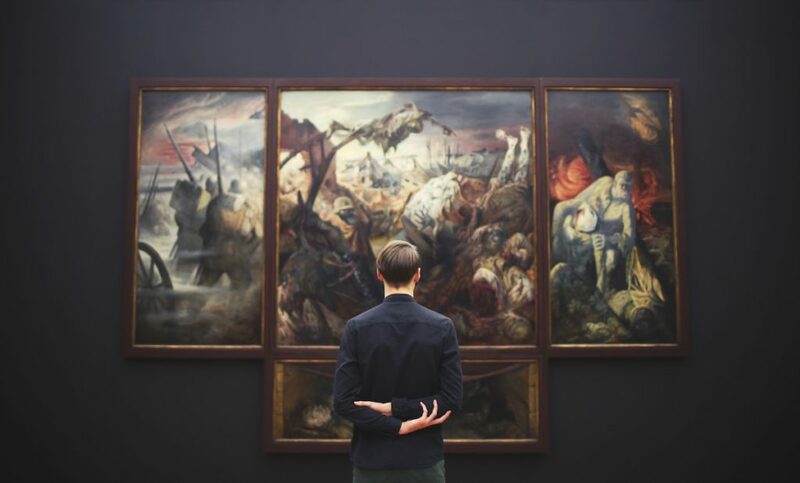 A third of participants indicated that they never visited a museum, but around 1 in 5 reported attending once or twice a year and a further 1 in 5 reported attending every few months or more. The incidence rate of dementia was higher than average for people who never go to museums, lower than average for people who make a few visits per year, while the lowest rate was found for those who frequently visit museums. Overall, the incidence of dementia was associated with the museum attendance at all levels of frequency, although after adjustment for covariates a relationship was found only for attending museums every few months or more. Sensitivity analysis regarding age suggested that quite similar associations were observed for people above and below 65 years-old. The results were not affected neither by the exclusion of participants who developed dementia at the follow-up period, or by the multiple imputation of missing data (15.4%). 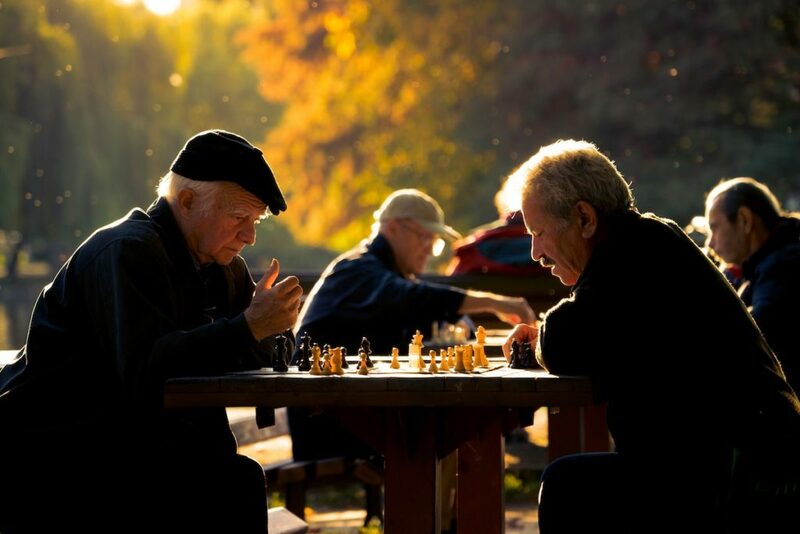 Lastly, other cognitive activities were taken under consideration by the authors, but were not significantly associated with the occurrence of dementia. Thus, the effect of museum-attendance is thought to be unique and distinct from other activities that have been suggested. Museum exhibitions are considered as a distinct activity compared to reading books and going to the theatre. 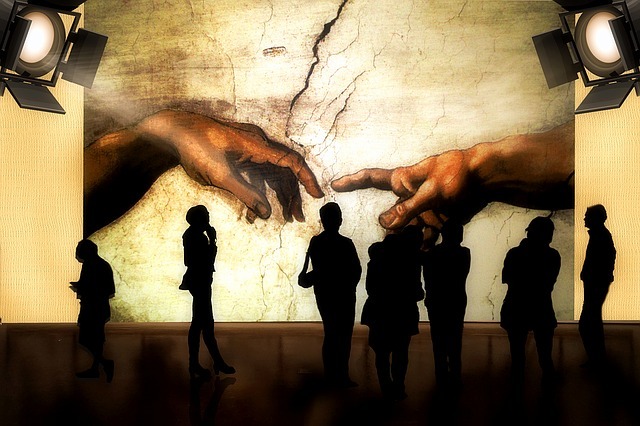 People who visited museums often were less likely to develop dementia. Although many covariates may explain this relationship; from the physical activity of getting up and out, through social interactions with friends and strangers, to the fact that perhaps it’s the ‘healthy and wealthy’ who visit museums, the authors found that they were able to control for many of these, and the association remained significant. This research suggests that frequent cultural engagement may be a protective factor against dementia. The study was based on a representative cohort of people, which was followed for a period of 10-years. Inverse probability weighting and multiple imputation were performed in order to handle ‘missingness’. All identified covariates, covering multiple factors, were included in the statistical analysis. Since the study design is observational, causality cannot be proven, and other unidentified factors may be related to the outcomes. In particular, the authors noted the complex and multifaceted social elements that are potentially hidden in ‘cultural engagement’. The (not surprising) diagnostic controversy. Research has identified that cognitive deficits exist prior to the diagnosis. This observational study cannot establish a causal link between museum attendance and lower incidence of dementia. Clearly, people who regularly visit museums may also benefit from other protective factors. This study has major implications both for practice and research. The association between other multi-dimensional activities and dementia occurrence. Moreover, the evidence can lead us to new policies and improve the public health system and the quality of care provided. These findings not only could be used to develop new interventions; supporting older people to attend museums, exhibitions and become active members in their multi-cultural community, but also seems to be a solid proposal for the reduction of dementia incidence. Across the globe, tens of thousands of museums exist, many of which could be used as public health promotion sites. 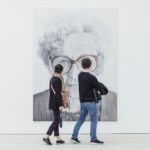 The mixture of the social (going to the museum either with people or surrounded by people) and cognitive element (experiencing art, learning new information, understanding a subject in depth, and reflecting on the historical perspective) could help to preserve cognition in older age. Let’s all take this evidence as a spur to get out to that exhibition that we keep meaning to attend. 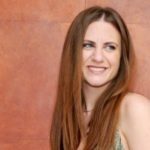 Dafni is a psychology graduate with an MSc in Clinical Mental Health Sciences from UCL. She is currently working as a Research Assistant at the Division of Psychiatry, UCL for the IDEA project. She is very interested in the impact of migration and other social determinants in mental health, particularly regarding psychosis. Her research interests also include dementia, its core aetiology and identifying ways to ameliorate the lives of people experiencing dementia and their carers. Danfi is a book-eater and podcast enthusiast. Really interesting. Be sure to keep an eye on projects like these happening elsewhere in the UK: https://www.worcester.ac.uk/discover/tandem-phd-studentship.html !